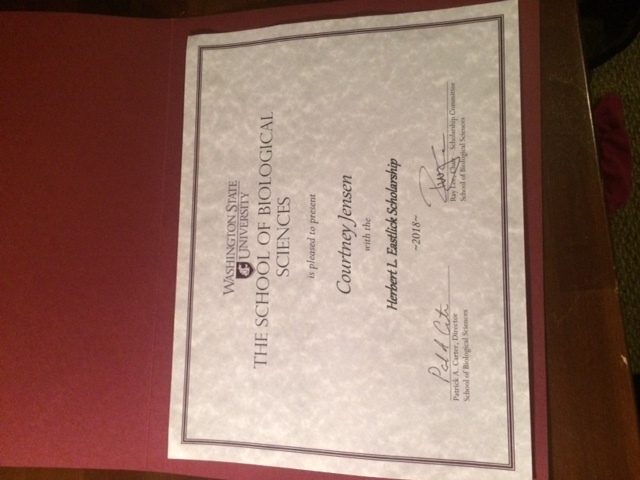 Courtney Jensen – an undergraduate in our laboratory – received the School of Biological Sciences Herbert L. Eastlick scholarship. You can learn more about Herbert L. Eastlick here. 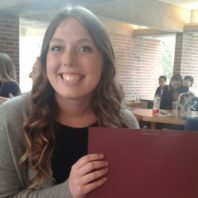 Courtney also received the College of Arts and Sciences Minigrant to continue her research on brown bear hibernation during the summer! 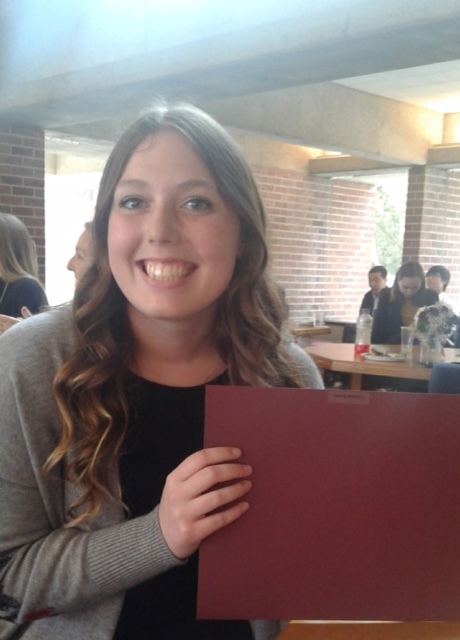 The award allows her to continue her investigation of genetic changes in genes that are differentially expressed between active season and hibernating bears. 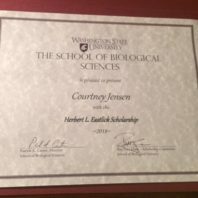 The award will also cover a portion of her research expenses.